So here's something a little different to what you would usually see here over on Simple Things. My fabulous friend Hannah recently popped round to mine for a bit of a natter, when she showed me something that blew my mind.. She had illustrated an image of Kendall Jenner and, let me tell you, it was soooooo freaking gooooooood. So, in usual Holly style, I got overly excited and said 'oh my god, put this on instagram, share it!'. To be honest, I still stand by that, it was way too good to not share with the world. Once I'd come down from my over-excited high, we decided that she would illustrate me. I got so excited and knew that I wanted to write a post dedicated just to her and her lovely work! I am absoloutley in love with this and I can't believe I didn't realise my friend's talent! It's so detailed, precise and it's just soooooo freaking gooooood. Anyway, you should definitely go and check out her instagram (@hannahkirkland_) where she posted her Kendall Jenner illustration - give it some lovinnnn and tell her just how fab she is. 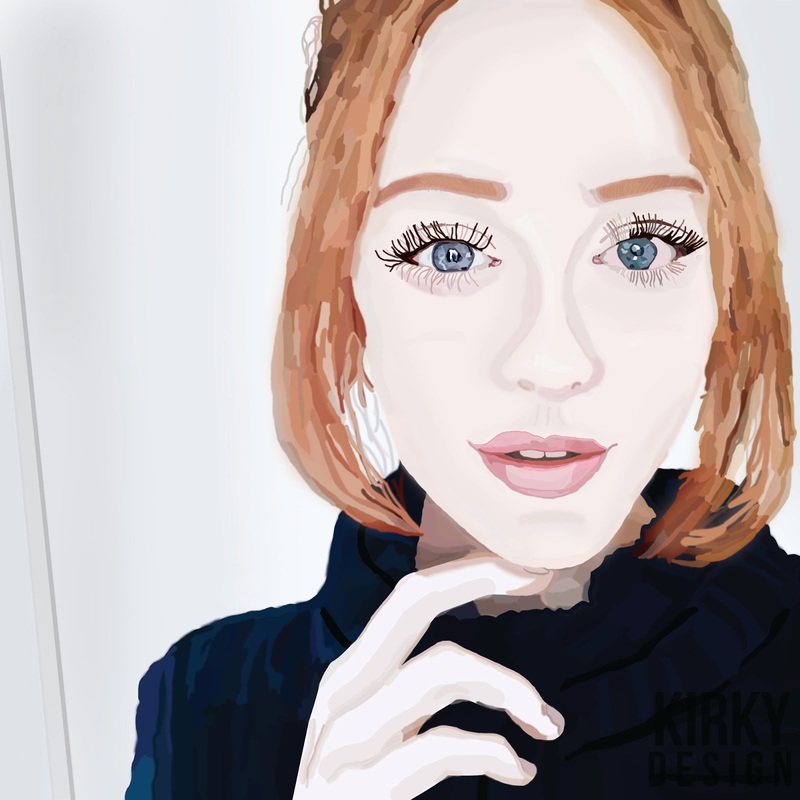 She also has a Sellfy account here: https://t.co/Fvb8CYHfmE, where you can purchase an illustration of yourself, eeeek, how cool is that?! Follow her on twitter and give her a DM (@HansOffTheWall_) - I'm sure you'll be very happy with her work. PS, if you want to see how she does her thaaang head on over to her new YouTube channel to watch her create wonderful designs! Gosh this is beautiful, off to have a nose! I'm definitely gonna buy one but I'm in america so I'll have to figure out how to pay her with a credit card in money... also I'd really like a blog cover if there was a was of paying her to make one for me... thanks holly!